Our web includes quizzes related to basics of maths, physics, chemistry, bio, everyday science, statistics, General Knowledge, computer fundamentals and history, and IT basics. 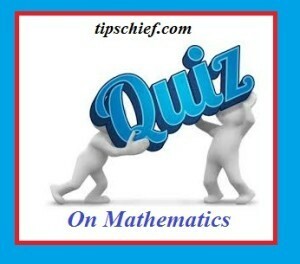 these MCQs are arranged for students as well as teachers for their ready reference. Teachers can use these quizzes for quick test and paper preparation while students can improve their grades near exams while practicing these. This Mathematics Quiz will cover the basic math concepts including Math sets, math geometry, trigonometry, math statistics etc.. Test your math skills by taking this online test, click on start quiz button for starting it.